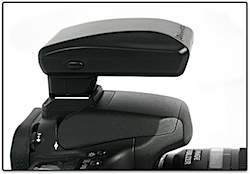 Digital Photography School reviews the Jobo PhotoGPS. Doesn’t make any comment about it only supporting RAW with XMP support. The reviewer probably uses Photoshop/Lightroom for workflow. Hoping for some good news from the WWDC regarding XMP support in Aperture! As stated in my previous post, there’s the run-down on the Jobo PhotoGPS (available at Fototrade, Luxembourg for 155€). Derrick Story has been testing the device with his Mac and concludes that it is not bad. Your work flow gets a bit more complicated, but until the cameras will have GPS built-in, this is one of the better solutions. Derrick did however only shoot JPG’s and not in RAW. The Jobo software is very simple and easy to use and does a decent job of helping you sort out the geotagging of your photos. As stated in the manual for the Jobo software, the geotagging information is written directly to JPG photos and to a XMP sidecar file when it comes to RAW files. This is all good if you are shooting in JPG format, as the file can be imported into any of the major software programmes (Aperture, Adobe Lightroom, iPhoto). Shooting in RAW is more complicated. If you have a setup with Adobe Lightroom, you are fine. The XMP format was invented by Adobe, so the format is of course supported. When it comes to Aperture of iPhoto, you are (currently) out of luck, as these two programmes don’t support the XMP sidecar files. I haven’t been able to find any third party solution to the problem either. So, if you are shooting RAW and is using either Aperture or iPhoto for your photos, don’t buy the Jobo PhotoGPS as you won’t be able to import the information into these programmes.